Heated Boot Warmers and Foot Warmer Mat Use in workstations, offices, factory floors or any other cold environment. The foot warmer mat is also a great gift idea. Radiant heat warms your feet and your whole body. 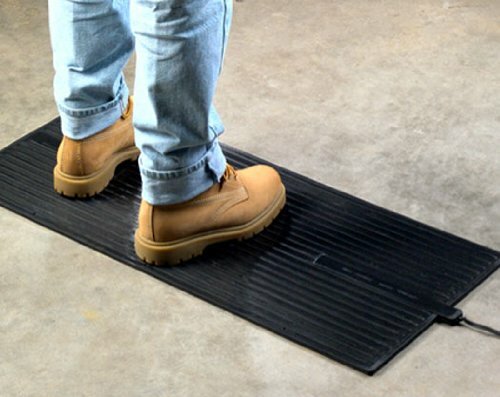 These innovative heated floor mats are ideal for the office, factory or home. 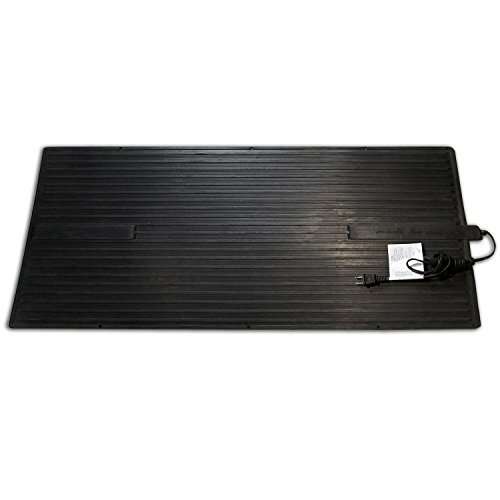 Made of thick insulated rubber this heated mat is completely safe and will surround your feet with cozy warmth. This heated floor mat will also help reduce high electricity costs - it is ten times more efficient than a traditional space heater. It is also much safer than a space heater. Direct, gentle heat is perfect in chilly basements, garages, porches, attics, or any other poorly heated area of a home. Also ideal for parking or auto garages, farm buildings or barns, security or toll booths, warehouses, check-out counters, shipping desks or any unheated areas of a workplace. Color: Black Much safer than space heaters which can tip over and cause fires. Power consumption: about 100 Watts (draws no more power than a lightbulb, costs pennies a day). No carbon monoxide risk. 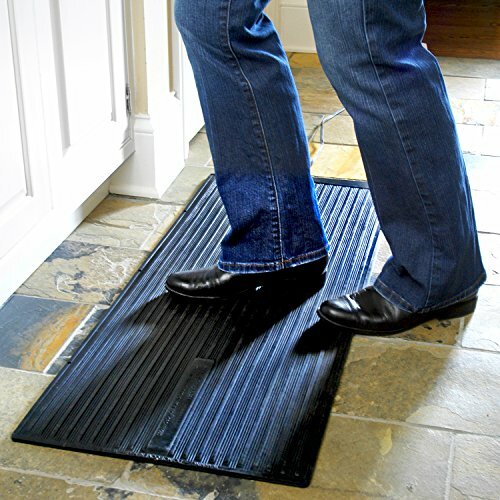 Portability - take our footwarmer with you wherever you go. Neutral finish. Completely waterproof, including cord attachment into mat. Made of waterproof, sealed and insulated rubber. Does not emit electromagnetic interference (EMI). ETL listed/certified Compare ETL versus UL certification 6 foot electrical cord with polarized, two-conductor plug (will fit into wall socket only one way) No built-in ON/OFF switch; just plug in/unplug or use a power strip with a switch. 130 - 135 degrees surface temperature. Heated Boot WarmersThe foot warme.